The listeria outbreak from Jensen Farms in Colorado has taken 34 lives in the news. This outbreak could have been avoided had the grower done the right thing and cleaning it's equipment properly. Listeriosis (listeria monocytogenes infection) is a bacterium that can penetrate and replicate in human cells. Symptoms include headache, fever, nausea, vomiting, diarrhea, and muscle aches. The highest risk for a listeria infection include pregnant females, cancer patients, elderly and any auto-immune suppressed patients. Should you contract listeria due to something you ate, and were healthy, you may not notice it at all. However, if you are in the high risk group, it may take longer to diagnose the illness, unless there is a current outbreak happening which can be associated quickly. According to the CDC 5 to 10% of all humans have the listeria bacteria in their own intestinal tract (in other words, our bodies host them naturally, but we don't get sick). CNN's latest report on the Jensen Farm Outbreak. 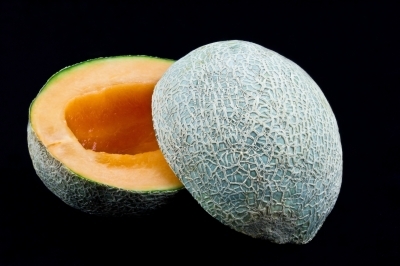 How did Jensen Farms Cantaloupe get listeria? Jensen Farm's issues could have been contained and avoided with proper cleaning of the equipment. All food service equipment in a commercial situation must be properly cleaned, including a proper sanitizing process. Usually a chemical like a chlorine based or quaternary ammonium based sanitizer must be applied to all food contact surfaces. Listeria, as well as other pathogens, would be destroyed and minimized by this process. The other discovery of the Health Department during the investigation found areas of standing water in storage areas. Standing water is also an area that listeria and other bacteria can grow. Imagine a puddle of water that never drained or dried sitting in a crack in a parking lot. There would be the opportunity for bacteria to grow. Purchase your cantaloupe from a produce department that you trust. Click here for more info. Do not leave leftovers sitting out for longer than 2 hours (better yet, put away right after the meal). Click here for more info.